A 53-year-old man complained of decreased left vision for the past 12 months. Examination showed right vision 6/12 and left 6/24. Nuclear sclerosis were seen in both eyes more on the right than the left. 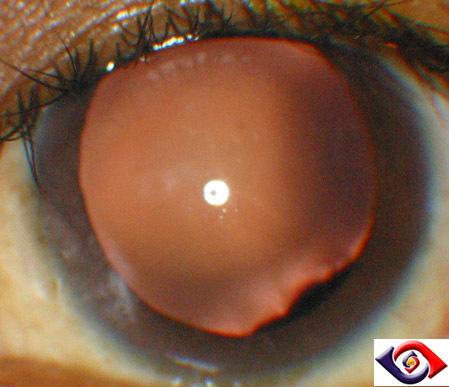 The following was the appearance of the left eye after pupil dilatation. the orbit, ethmoid sinus and the extradural space of the anterior cranial fossa. a. What is the diagnosis? b.Which systemic conditions may be associated with this condition?